Dale Earnhardt Jr. took the final victory lap of his storied NASCAR career in 2017 and now the legendary driver is sharing diaries he kept about the concussions he suffered and the "real danger" they posed. In his new book, "Racing to the Finish: My Story," the former 88 car driver describes the injuries he sustained while racing and how he documented his progress before finally coming to the conclusion in 2016 that he had to stop. "It got to a point to where I couldn't stand up. I couldn't turn my head without falling over and my eyes were not working right focusing and tracking an object," Earnhardt said Wednesday on "Good Morning America." 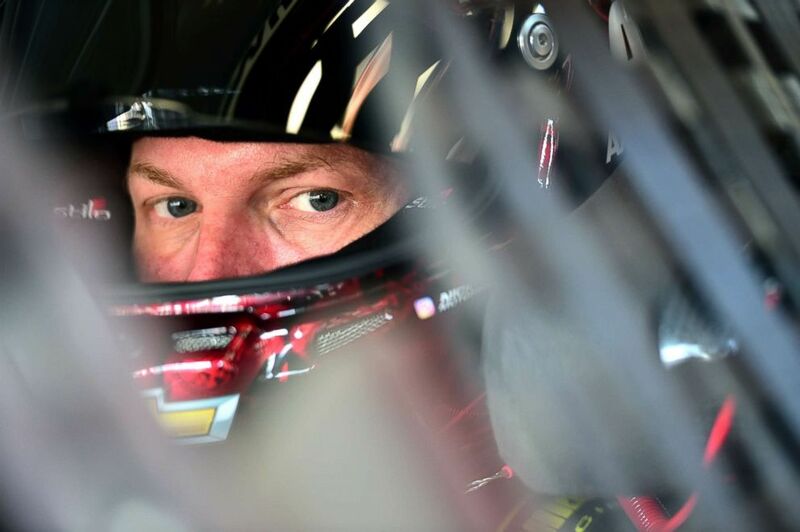 In this file photo, Dale Earnhardt Jr., driver of the #88 AXALTA Chevrolet, sits in his car during practice for the Monster Energy NASCAR Cup Series Championship Ford EcoBoost 400 at Homestead-Miami Speedway, Nov. 17, 2017, in Homestead, Fla. He added, "I couldn't lock on things and I was having a real, real problem and it got so bad I finally said, I can't drive. I got to stop." In 2012 Earnhardt went to the University of Pittsburgh medical center, a facility that treats other professional athletes. Earnhardt met with Dr. Mickey Collins about an injury he sustained that year. "That wasn't the first concussion but that was the most serious one and I went and got help," he said. Earnhardt got back on the race track and began winning again. "I won about seven races in a couple of years and everything's great. I started crashing again and symptoms were coming back after these crashes and they were getting more and more pronounced with each crash and I was trying to handle it myself," he admitted. 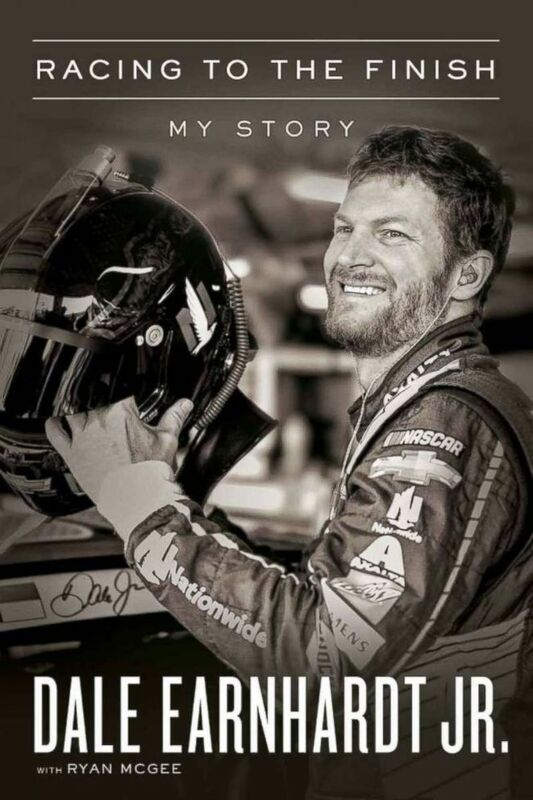 "Racing to the Finish: My Story" by Dale Earnhardt Jr. is available on Amazon. He continued, "If I had a crash and had symptoms -- I would write a diary and, you know, how I felt after the wreck, how I felt that night, all the next day for several days and so that helped me kind of understand the progress of the symptoms and if they were getting better or worse. And I started making a habit of this and ended up accumulating about 12 concussions in a very short period of time. It got to a point to where I couldn't stand up." Earnhardt said he couldn't operate a race car much less drive to the grocery store, which is when he knew it was time "come clean" and share the journal with his family. "I had gotten so far down the rabbit hole it took us six months to get it fixed and get back so I missed the whole [first] half of the 2016 season," he said. After continued treatment and work with Dr. Mickey, Earnhardt decided to finish out the remaining year on his contract with JR Motorsports before announcing his retirement. 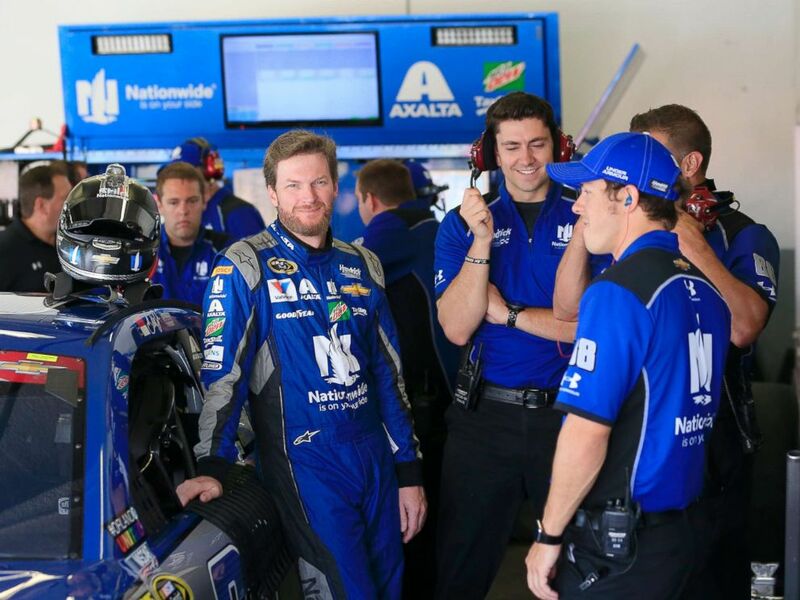 In this file photo, Dale Earnhardt Jr., driver of the #88 Nationwide Chevrolet, talks to his crew in the garage at Daytona International Speedway, July 1, 2016, in Daytona Beach, Fla.
"I was relieved because I knew I didn't have what it took physically to keep going through that process," he said. "As a race car driver you're going to be in accidents, some that aren't in your control and some that are. And I knew that I was putting myself in real danger by continuing that career long term." And he said he stands by his decision to retire. "We went and raced in 2017 and had a great time doing it and was able to close the book on my career my own way and I was completely comfortable with that decision, still am today," he said.